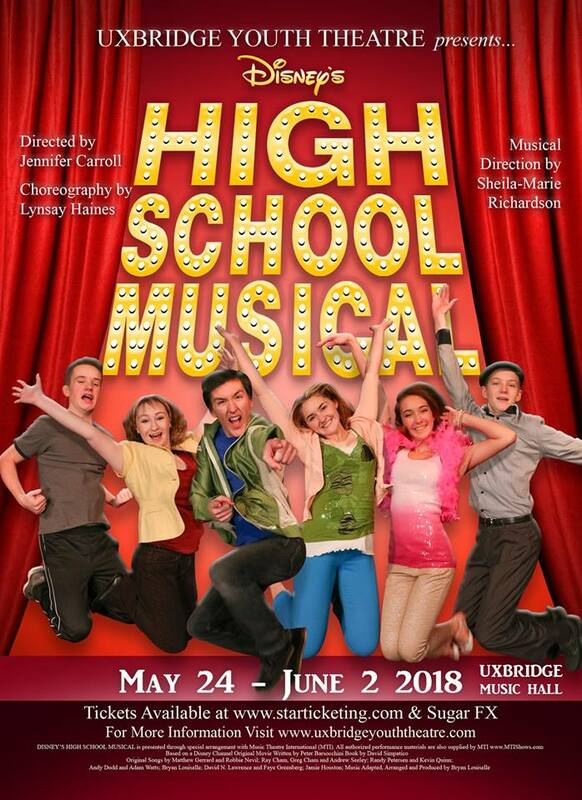 It's Disney's: High School Musical, brought to you by Uxbridge Youth Theatre on May 24 - June 2, 2018. We're all in this together in the stage production of Disney Channel's smash hit “High School Musical”. Quinn Sullivan has been a music professional for more than 75 percent of his life. 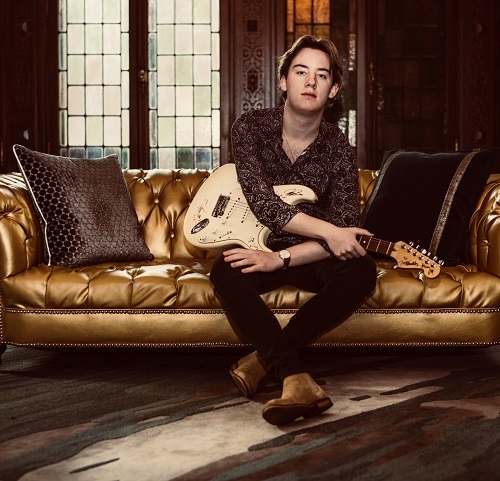 He’s shared the stage with Buddy Guy, Eric Clapton, Los Lobos, The Roots, Derek Trucks & Susan Tedeschi and Joe Bonamassa, and he opened for B.B. King, who later invited him to play his treasured “Lucille” guitar. He has performed on concert and festival dates throughout the United States – including at storied venues like Hollywood Bowl, RFK Stadium and Madison Square Garden – traveled overseas – performing at both the Montreux Jazz Festival and India’s Mahindra Blues Festival – and played several editions of the Experience Hendrix Tour, backed by Jimi’s original bassist Billy Cox. He’s also appeared on national TV, with guest appearances on The Tonight Show with Jay Leno, Oprah, Late Night with Jimmy Fallon, Conan and twice on The Ellen DeGeneres show. Yes, Sullivan has packed some extraordinary experience into his decade-long career, and that’s even more remarkable when you consider that he’s only 18. His third studio album, Midnight Highway, was produced by multi GRAMMY® winner Tom Hambridge , and was released worldwide in early 2017 on Mascot Label Group’s PROVOGUE label. The album is yet another milestone in Quinn’s extraordinary journey, which began with him jamming with the kids music combo Toe Jam Puppet Band at age three, appearing on Ellen when he was six, and being taken under the wing of blues legend Buddy Guy at age eight, whose protégé he remains to this day. His debut album ‘Infected with the Blues’ earned rave reviews! "Goodbye Lucille is the best musical tribute to BB King I've hear....." -BLUES MATTERS MAGAZINE (UK). Spencer will be performing songs from his new Album Cold November, that will be released April 27th. All tickets are: $76.45 including all taxes, ticket fees and Music Hall Improvement Fund. 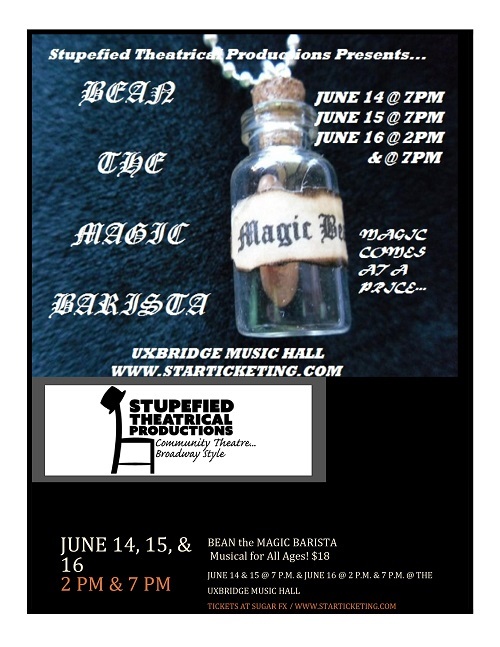 Stupefied Theatrical Productions presents: Bean: The Magic Barista. Bean the Magic Barista is a contemporary fairy tale that reminds us that anything worth having comes from hard work and that the grass is not always greener on the other side. 'Ivy Bean' is willing to do anything at any cost to keep their business a float but also wants to be the absolute best! She purchases magic beans from 'Dalamar' the strange magical wizard. 'Ivy' and the entire town of 'Poplarville' soon discover that her sister 'Poppy Bean' was right; magic comes at a price. Come and find out what the cost will be. Pull up a chair, grab a cup of their famous coffee, listen to some great music & hear the tale of Bean the Magic Barista. Sally the Squid narrates the tale of Betsy the little blue fish that is tired of living deep in the depths of the Atlantic Ocean and just wants to find a new place to flop. She knows that there is something bigger and better out there and she is determined to find it even though all of her fish friends believe that she is too small to accomplish anything. Betsy, proves her friends wrong as they follow her on her journey to the top! All tickets are: $18.00 and includes taxes, ticket fees and Music Hall Improvement Fund. Other great shows coming to the Uxbridge Music Hall after May & June include: Sean McCann of the Great Big Sea, Brass Transit, Agatha Christie's: The Unexpected Guest, Something Happened On The Way To The Forum, 9 to 5: The Musical, Jesus Christ Superstar. Check out all of the great shows right near you. 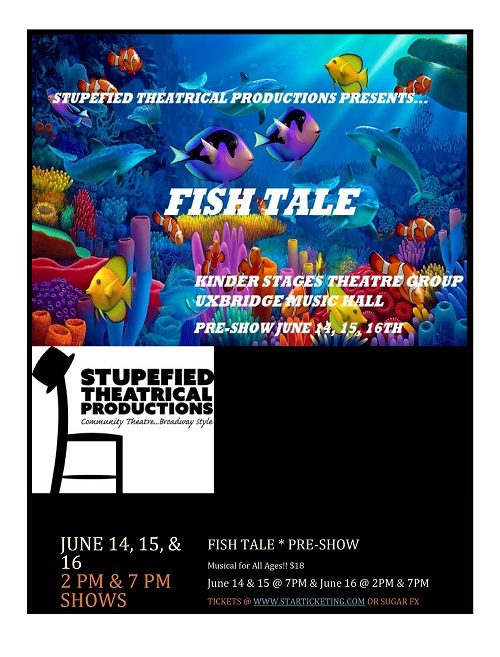 Make it an evening with dinner and then theatre by visiting one of the many great eateries in Uxbridge including: Urban Pantry, Laura's Casual Kitchen, The Tin Mill, Hobby Horse Arms and many others. We're looking at building our list. Have a friend who would like to know more about the events happening at the Music Hall? Forward this to them and ask them to to this awesome newsletter. Putting a show on at the Music Hall? Check out some of our helpful pages on our website. Visit: uxbridgemusichall.com and click on: About the Hall and you'll see links for: Technical Specifications, downloads, promotional tips, tricks and link and a link to list your event.